Aqua Flow is a sweet and summery blend that’s perfect as an all-day vape. Full of pineapple, guava and mango flavor, Flow vape juice by Aqua is a tropical treat that fruit fans won’t want to put down. Pick up a bottle today and take a trip to your own personal paradise! Aqua vape juices are known for their pure taste and fruity flavor profiles, and come in a 70% VG blend for a smooth and cloudy sub-ohm vape. 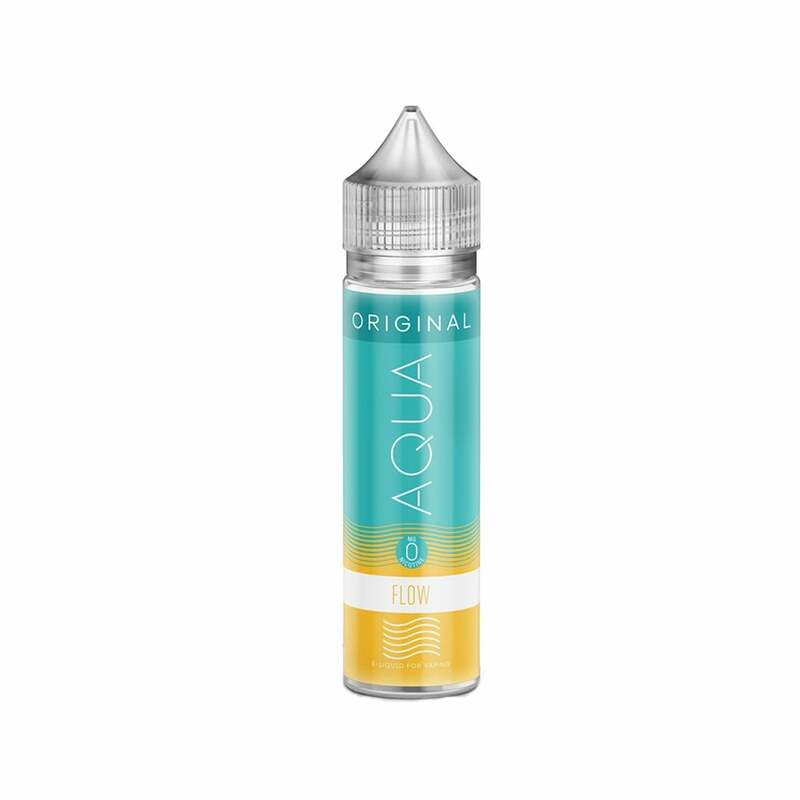 Aqua e-liquids come in 60ml bottles. This is a nice all day vape. Clean fruit flavor without being too sweet.